A fight outside a Target store at busy City Point in Brooklyn spilled into the store, where a man was shot and killed. Checkey Beckford reports. Two people have been arrested in connection with mayhem in a Brooklyn Target that involved a machete chase and a deadly shooting earlier this week. Bobby Jackson, 44, of Brooklyn, and 26-year-old Gregory Kimble, also of Brooklyn, face charges including reckless endangerment, criminal possession of a weapon, assault and menacing, police said early Friday. It wasn't clear if either of those men was the man cops said was being chased by a group with a machete in the store at City Point late Wednesday. It was that chased man, police say, who opened fire on another man, killing him inside the multi-use shopping center in downtown Brooklyn. Cops have said the gunman was being chased by at least four men with whom he had just gotten into an argument when he went into the Target. The victim, 25-year-old-year-old Carlton Spencer, tried to approach the shooter from the side when the gunman turned to the would-be attacker and shot him once in the chest, said police, who added the victim was unarmed. The other three men in the group fled the area, but were quickly taken into custody, police said. The shooter was also taken into custody. Spencer was taken to an area hospital, but was unable to be saved. Police said he had a criminal history, with his most recent arrest happening just days ago. Sources say the store was immediately shut down and evacuated as police, already in the mall complex, rushed to the scene within minutes. No workers or customers were injured. Police said a gun was recovered and the investigation is ongoing. The store was closed Thursday, a store spokesperson said. It wasn't clear if it would reopen on Friday. Brooklyn Borough President Erica Adams said the group is believed to be tied to previous robberies in the Fulton Mall area. "One should not enter Target and become a target of a crime," he said. 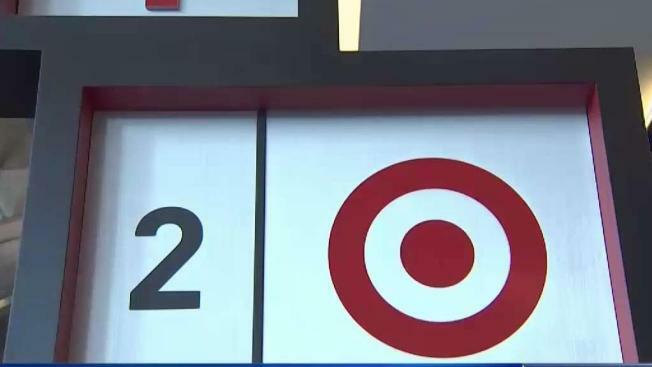 "This is madness, the fact that this can happen now at Target," said store security guard Anthony Pearson, who missed the shooting by 10 minutes Wednesday night. He wondered whether he should find a new line of work. "I have a son. I don't want to go through this type of drama," he said.